Why do you want to get into scoring movies? It’s tough to get in and tough to stay at the top, so let me ask you some questions before we get going. Why movie scoring specifically? There are dozens of different outlets for musical creativity in the media from video games to commercials, documentaries to animation. Most of these styles will stand you in a much better stead of making a living, than joining the long queue of people who would like to be Hans Zimmer, John Williams, Danny Elfman (delete as applicable). That also raises another issue – “making a living”. Is that what you want? To compose for film as a full-time job and get paid for it? Reality check: Most talented, creative people working as film composers could earn a lot more money doing something else with a lot more job security thrown in. Being a film composer is a perilous existence. Not earning a lot of money might not matter when you are 20, but when all your friends have big houses and new cars in twenty years time it might matter a lot more. Actually “making a living” is optional. The vast majority of professionals compose part- time and have a day job of some description as well. This has a major advantage in that you can score the projects you are genuinely enthused by, and not just take the one’s which stand the best chance of paying the rent. So I hope you are now questioning a/ whether film is the right place for you and b/ whether you really want to do this for a job. I’ve done my best to put you off. Here at ThinkSpace we don’t sugar coat things. You get it as it is, not all wrapped up with a pink bow. You’ll find out soon enough regardless and will be better prepared if we’re completely honest and upfront with you. The job of the film composer is to be a cog in someone else’s wheel. You are helping to realize someone else’s creative vision, not necessarily your own. Media composers in general are providing a creative service to producers of films, games TV or whatever. That means fitting in with someone else’s creative vision and therein lies the greatest challenge. How do you work out what kind of music someone else wants and then how do you give it to them? This is a fascinating challenge and when you get on a director’s wavelength it is intensely rewarding. It is more like a marriage where a lot of stuff is just understood and doesn’t have to be constantly negotiated and restated. That’s why partnerships like Spielberg/Williams, Burton/Elfman, Hitchcock/Herrmann last so long. To get to this point however you have to be a very good communicator, have a passion for the medium and a deep understanding of how it works so you can talk to directors and producers on the same level. This is not about writing nice bits of music you like and then finding someone to buy them. You have to learn techniques to discover exactly what your customer wants and what it takes to be able to deliver. Writing music for film is about communication, not just with the audience but also with the director. This is half the job. Now the other half – actually writing the music and clearly that starts with two things – equipment and skill. Equipment first. You need a Digital Audio Workstation or DAW which is a piece of software. The industry standards are Cubase and Logic. Cubase runs on both PC and Mac and Logic is purely mac. There has recently been a decisive move in the professional community towards Cubase. Other worth considering is Digital Performer which is a favorite with a lot of US based composers. What about Pro Tools? It’s great for editing audio and mixing but not for composing. Too many serious limitations. Ableton Live? Reason? These are great programs and most of us use one or both of them, but not substitute for a full featured powerful DAW. • Top of the line fully featured DAW with everything you need for scoring at the highest level. • Runs on both macs and PCs equally well (marginally more efficient on a PC), so you’re not stuck in Apple world as their top of the line Mac Pros get ever more expensive. • Well supported, lots of training available. • Support requests can take weeks to get answered. • Doesn’t come with as many instruments or plugins in comparison to other DAWs. • Large collection of sounds, instruments and plugins included. Great value- for the whole package it’s a bargain. • It only runs on Apple computers. When your iMac or Macbook Pro runs out of steam the mac Pro alternative is at least twice the costs of the PC equivalent. • Fears that Apple are “dumbing down” Logic and making it more like Garage Band. The gist of both of these criticisms is a suspicion that Apple are not fully committed in the long term to developing and maintaining Logic at the forefront of the professional field, nor eventually that the Mac Pro line will keep up with the PCs. They’re a huge company and pro audio is a very small part of their world compared to Steinberg where pro audio IS their world. • Top end scoring DAW, tailor made for film scoring with lots of special scoring features that other DAWs don’t have. • Excellent audio manipulation and rendering tools – much simpler than other DAWs. • Now available for Mac and PC (although the PC version is not as stable yet). • Not as CPU efficient as Logic or Cubase. • DP supports AU and VST plugins but sometimes with difficulty. MOTU’s own plugin format MAS is not always as widely supported as it could be. Now software is no good without a computer to run it on and you will want a machine with at least 16Gbs of RAM and a reasonably powerful processor. This means you need a 64bit operating system to take advantage of it. Quad-core machines or better, i7 processors. If all this means nothing to you, you need to grasp the nettle and learn about it. Film composers are deeply techie people for the most part and the nuts and bolts of how computers work is a very important part of making the whole thing work. How much processing power is enough? Well as much as you can get, but sometimes that extra little bit is really expensive so you need to be clever. Check out the benchmark scores here. Anything above 10,000 on the multicore score is in the zone. Where do the sounds come from? Virtual or software instruments! You install them on your computer and load the sounds up inside your DAW. Most composers have a very large collection and that uses up more and more co putting power and memory, so the computer(s) need to get more and more powerful. There are a vast-range of libraries to choose from. The majority of instruments run inside Kontakt from Native Instruments. When you buy Kontakt you get a reasonably large starter library of sounds and there is also a very wide range of choice of third party libraries, many of them costing hundreds or even thousands of dollars! The other player here is East West who have their own proprietary player called Play. They have a wide range of very well priced instruments. Their libraries, however, do require very substantial technical resources to run properly. You can get started on a single computer with 16gb of memory, but to load a whole orchestra you would need, SSD drives, 32-64Gbs of RAM or multiple computers. If it wasn’t for all this wonderful sound-ware most composers would be a lot richer. But people keep on producing the world’s most seductively wonderful sounds and …well… what are you supposed to do? You just HAVE to buy it. Here, in no particular order, are a few of the major sample producers. They’re all great and we, the film composers of the world, salute them! Being a film composer is all about being fast and productive, as you will always be working against a deadline. Most people will build a template, a standard set of sounds which pre-load inside of their DAW as a starting point for each project. This saves building everything form scratch every time. Building and maintaining a template becomes a weirdly geeky obsession for many of us but it is important. In terms of hardware you need a decent 88 note weighted midi keyboard, a sound card or audio interface and a pair of monitors (speakers) or really good quality open backed headphones. This is where you actually have to write some music. Most people who come to writing for film or anything else, are already experienced composers who have been writing music for a while. People don’t just pick up a copy of Cubase and start scoring movies for a living. That absolutely doesn’t mean you have to be classically trained. 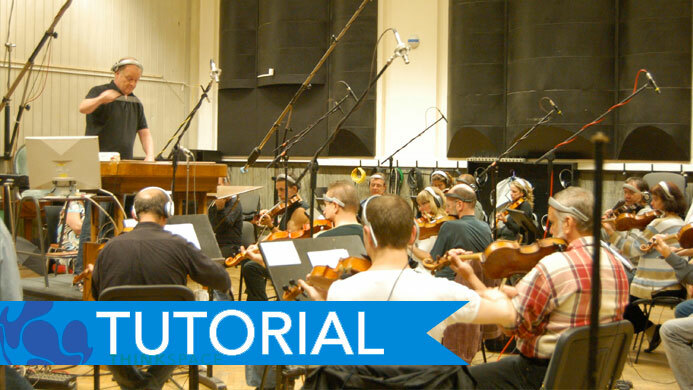 In our experience of training over 4000 film composers, those without formal training do just as well commercially. In fact sometimes better. What seems to matter most is to be fluent in the use of technology and to have an original style. Now if you are still learning to write music in whatever style works for you, that’s great, keep going. You need to be able to produce a reasonable quality demo using a DAW without too much difficulty before you start thinking about film scoring. Can’t I just use Sibelius/Finale/Pencil and Paper? No. You have to be able to produce a killer commercial quality sampled demo for a prospective client, even if the end product is going to be performed live. However good the soundset in Sibelius (NotePerformer for example is wonderful), it is no substitute for a properly programmed and executed sampled demo in a DAW. This is a hyper competitive business and a poor demo won’t win or retain work. How do I learn to write music? You can work it out by yourself with the help of Youtube and trial and error. Here at ThinkSpace we have a number of courses to help you learn to write music from basic music technology, through to more advanced harmony. If you want to know where to start, drop us a line with an example of your music and we can give you some advice. This is like the rules of chess. It takes 10 minutes to explain and a lifetime to master. This is where you watch the film and decide where the music is going to go. Each piece of music is called a Cue and they are numbered !M1, 1M2 etc. The first number 1M4 refers to the reel number the second number 1M4 to the number of the cue in that reel, so 1M4 is the fourth cue in reel 1. Cues normally last up to around 4 or 5 minutes but can be shorter. Spotting is about working out what the role of the music is in the film. You often do it together with the film director. Before you start you go through a period of theme development where your approach is developed and refined. You work out the sound of the film, the instrumentation, whether it is mostly sound design or a traditional thematic score. Those themes are developed and approved by the director. You need a basic understanding of what timecode is and how it works so you can make sure your DAW is set to the same timecode as the movie. You import the Quicktime movie or MP4 into your DAW. You set the start time so that the sequence in the DAW lines up with the movie. That much most of you can work out for yourselves in 10 minutes, although it can be a bit fiddly sorting out the start time and timecode. The bigger question is what is the music for? Where should it go? What is its role in the scene and the film as a whole? How can my music help the film achieve its potential? These are hard questions many of us spend a lifetime trying to answer. The answers in some respects are in front of you. If you watch great movies with great scores and you deconstruct exactly what the music is doing, where it is, why it is, then you will start to gain insight into this world. Where this is a skill that some acquire naturally, most people need to be taught it to a certain degree. Most of us have learnt this by trail and error but in this hyper competitive market, trial and error is harder to pull off as you just won’t get many shots at it. There are hundreds of composers chasing every film. Fortuitously however, there are also hundreds of filmmakers trying to make it. Enter the world of the short film. These are films made for no money by people who love film. If you have a distinctive sound, are technically competent, can work fast and efficiently and are able to communicate well and adapt to the director’s vision, you are in with a shot. Most composers don’t check all those boxes, so if you do you are ahead of the field. You need to create a demo reel that shows what you can do. You don’t have to score to picture all the time. Many directors prefer to hear audio demos on Soundcloud rather than see movies, as they are always trying to imagine your music in their movie (not someone else’s). Write 5 x 1 minute pieces of music that shows what you can do best. Don’t try and be a jack-of-all-trades. Find a style that works for you and at which you can excel and go for it. Now you have two options. Hangout in short film forums. Watch people’s films, tell them what you think, show you know about film and care about their work. Make friends and send them your reel. IMDB Pro is great but everyone uses it. Nowadays, anonymous pitches by email hardly ever work so don’t waste your time and energy. Better still, find a local film festival or film school and go and make friends. Meet people. Shake them warmly by the hand, buy them a cup of coffee and give them your reel. Don’t talk about yourself. Sit back and watch their work and talk to them about that. If they think you care and understand what they are trying to do, you are in with a chance of doing well. Short films don’t always lead to paying gigs however. Indeed they hardly ever do but it is a great place to start, a rewarding experience in itself and a fantastic place to develop and learn. Once in a blue moon however you will make friends with a short filmmaker who will go all the way and take you with him or her. It does happen. But as I said at the start, if you want to make a living writing music more abruptly, there are less hyper-competitive markets to enter. Where now? So if I haven’t put you off and you think this still could be the world for you, drop ThinkSpace Education a line and send us some of your music. We’ll see if we can help. We are the oldest online film music school in the world. 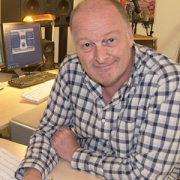 We have trained over 4500 media composers, the majority of whom have found some kind of work. We run everything from weekend courses to postgraduate degrees. Unlike almost all the other film music schools and courses, you will be trained by people who actually do this for a living and are in daily contact with the industry. If you enjoyed this, why not check out our Postgraduate courses?